Check out the top outdoor returnees in the state of Iowa for the girls 400m hurdles. 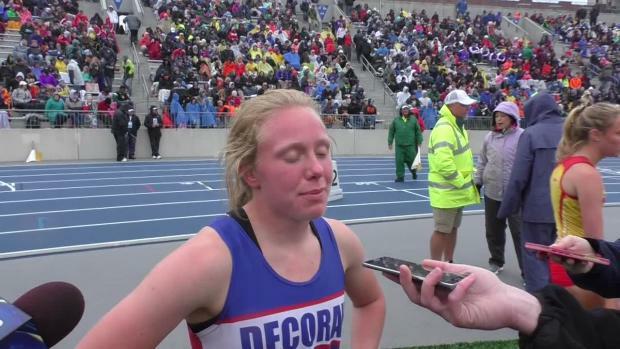 Decorah's Katie Nimrod was a state runner-up in last year's 400 meter hurdles state race with a personal best time of 1:04.09. She will be in contention for a state title this year as one of Iowa's fastest returnees.